Frozen yogurt is one of those cold treats that is enjoyable year-round. We love how customizable it can be and that there is a combination for everyone. Chocolate peanut butter to key lime pie it’s hard to go wrong. Seasonal and rotating flavors, plus a spread of toppings, means you can always get exactly what you’re craving and then some. Lucky for you Metropole is situated near several frozen yogurt hot spots! With locations walking distance from apartments in Upper Kirby, you won’t feel bad about stepping out for dessert more than once a week. Without further ado, this blog has the details on where you can get your fill of froyo. When you finish reading through the blog post below, we’d appreciate it if you took a second to share the link to this page with your friends. Better yet, go ahead and share it with your neighbors at your community of apartments in Greenway Plaza! Yogurtland has more than its name implies. While they serve up some seriously good froyo, Yogurtland also sells shakes and frappes if you’re feeling something cold, but a little different. In the event you have dietary restrictions there are still plenty of options available to your sweet tooth including gluten-free, no sugar added and non-fat flavors and toppings. The franchise boasts over 200 unique flavors so we understand if you become a regular. How else will you taste your way through them all? If that’s the case make your visit even sweeter by signing up for their Real Rewards program. You’ll build points for every ounce purchased. Just for signing up you can earn a free 3 oz. serving and birthday treat! A pioneer in frozen yogurt, Pinkberry has been around for more than a decade and was closely associated with pop culture trends in the early 2000s. If you watched The Hills or Gossip Girl you know what we’re talking about. Pinkberry has stood the test of time and is still a top choice throughout the U.S. to get your frozen yogurt fix. In fact, there are not one, but THREE Pinkberry locations within close proximity to apartments in Upper Kirby. Pinkberry has expanded from its original two flavor offering and the combinations are now endless. Download the Pinkberry App to take full advantage of this froyo experience and earn free yogurt. Ok, this one isn’t frozen yogurt. But it is close enough and just as delicious. SweetCup is original to Houston and scoops up gelato and sorbet. Everything in store is made onsite from scratch, which is a step up from franchises. And while the store might be smaller, they’ve built up a mighty follower and have 200 flavors in their rotation. For a cold treat made with love, this is the place to go. Now that we have your mouth watering for some frozen yogurt let us know what your favorite flavor combinations are. 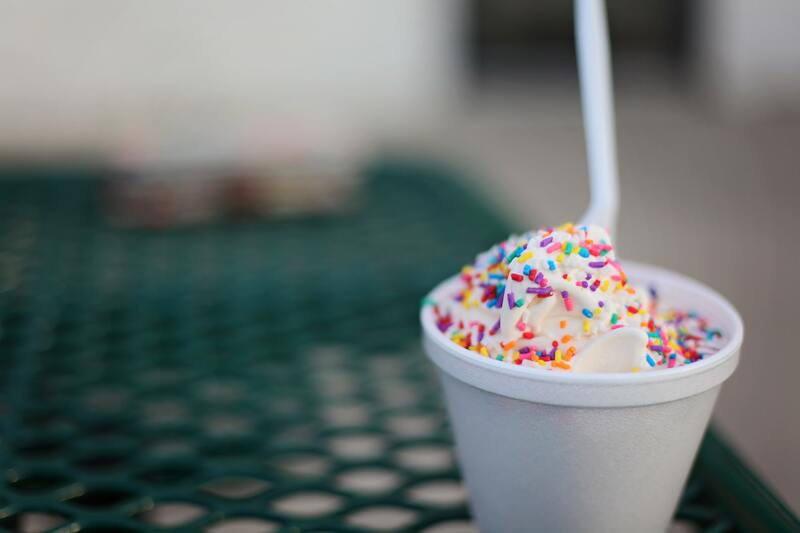 Who knows maybe we’ll cater our next Metropole event with froyo from one of these neighborhood spots. If you enjoyed reading through this week’s post and are interested in reading the next one right as it goes live, we encourage you to bookmark our blog. Doing so will ensure you’re always among the first to read about upcoming blog posts right when they’re posted up on our website. While you wait for us to post those blogs, you can keep up with everything happening at Metropole by following along with our social media accounts! We’ll be posting about upcoming resident events, special promotions and exclusive giveaways going on at your favorite community of apartments in Upper Kirby.